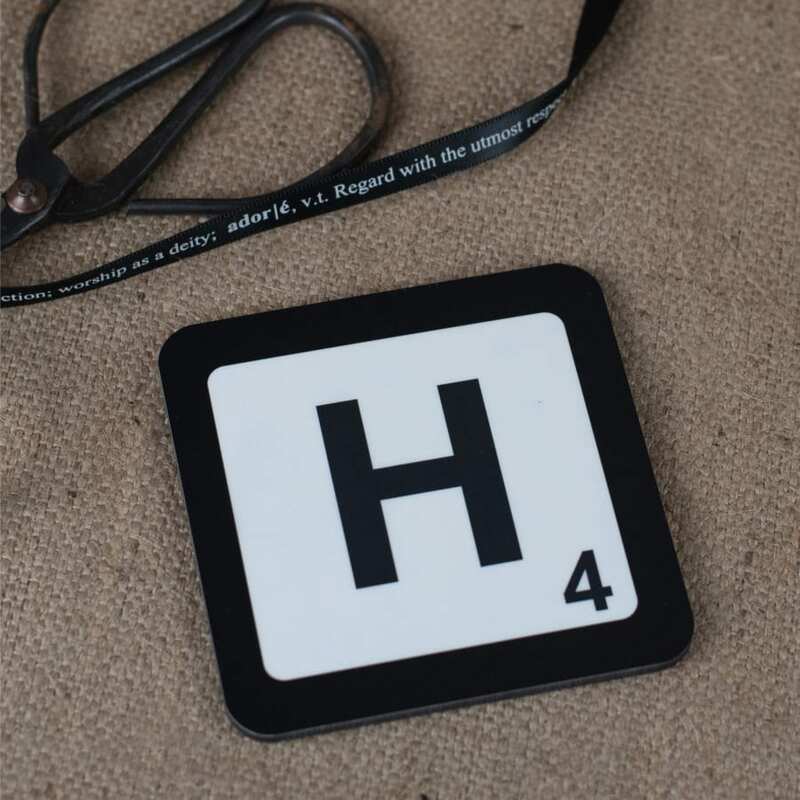 This high quality personalised initial coaster is one of our more popular coaster designs. The coaster features a bold border in the colour of your choice and is personalised with your required initial and the appropriate letter value. Initial and number match the border colour. 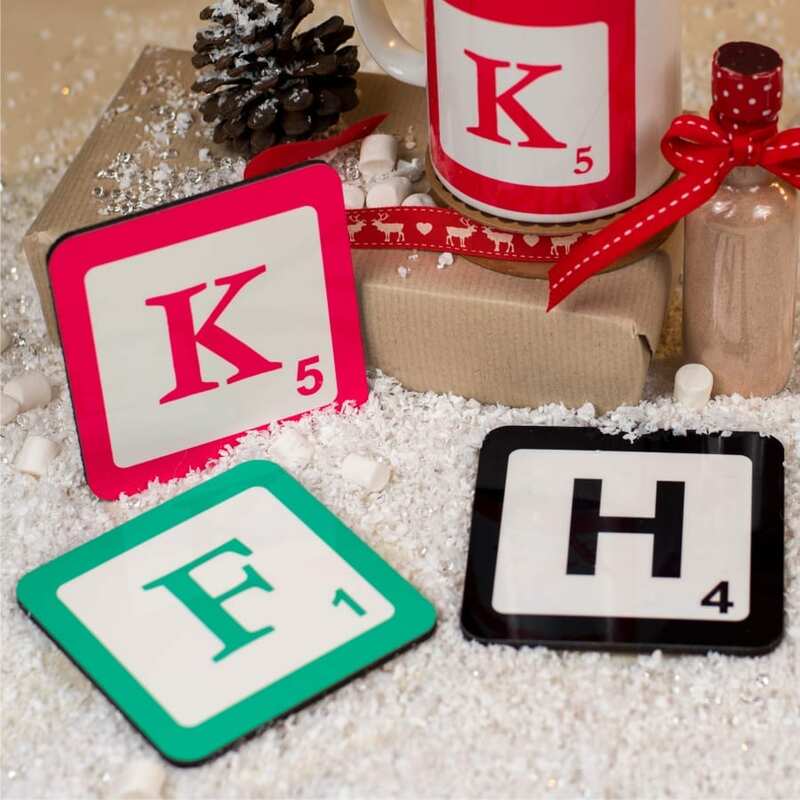 A personalised initial coaster makes a fab present for all ages and particulary those hard to buy for people and scrabble lovers. At only £8.00, you could buy as a Secret Santa gift, or perhaps as a stocking filler present. English teachers are sure to approve of this coaster. Or perhaps have one for each family member. The coaster measures 95mm x 95mm, is cork backed, heat resistant and has a really wonderful high gloss finish. Each and every coaster is printed to order by Name it Labels in our Somerset studio. Using the very latest printing methods to give our customers professional printed products at realistic prices. Why not team up your personalised initial coaster with a matching mug or placemat.